If you already have a GPS tracking account, you will already have done much of the setup required for ELD. 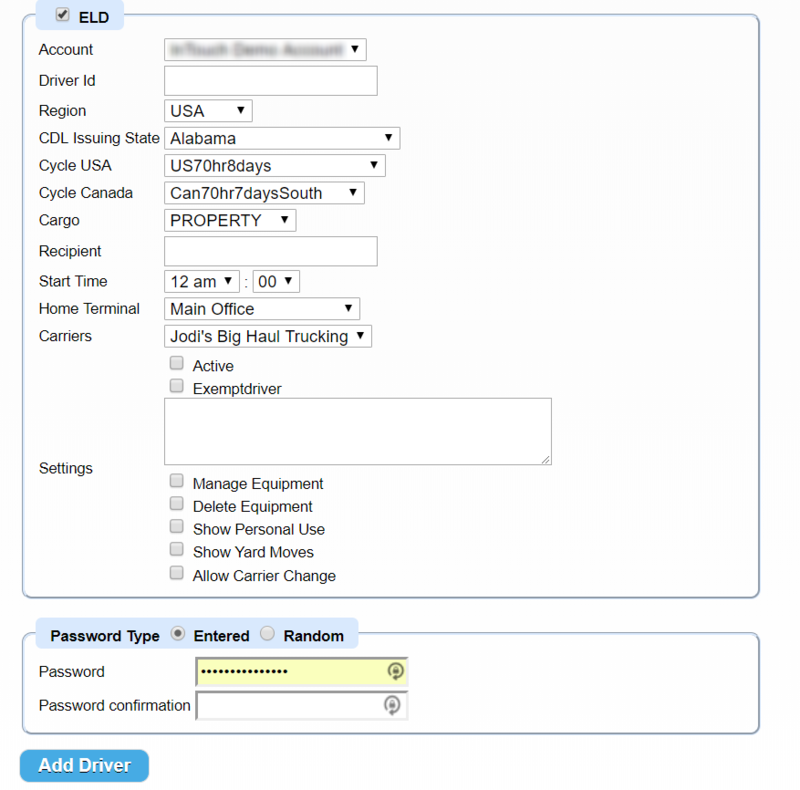 All you will need to enter is a custom name for any new ELD tracking devices in the Devices section under the Settings tab and if you have not already entered drivers into your Drivers tab, you will need to enter them there. Once that is done, you can go to the ELD section under Settings to “copy” over your existing into in your GPS tracking account to be available for ELD. If you have not already set up Drivers – To set up your drivers, go to the Drivers tab of your GPS tracking platform and click on “New Driver” in the right corner. Here you will need to enter their first and last name, email, CDL number in the license field, and password to access the ELD Driver app. You can also fill in additional fields such as hire date and ID Number if you choose. 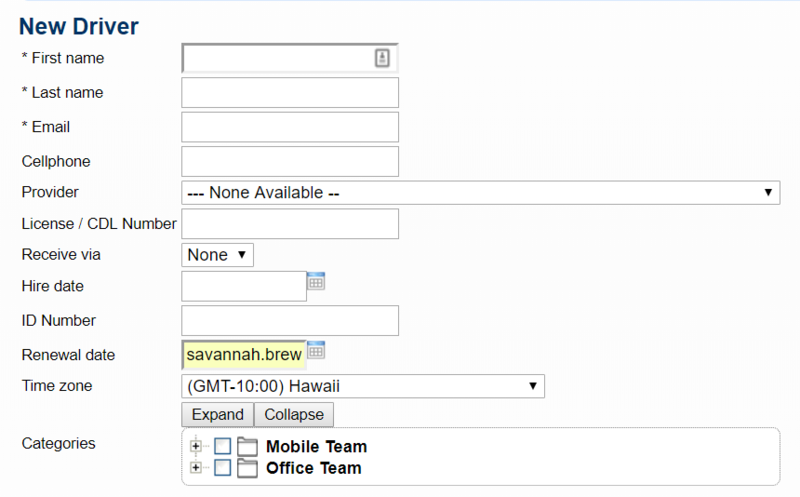 Then click the ELD button at the bottom of the form to fill in the additional required fields. Each of your drivers must be entered into the software in order for them to subsequently use the Driver App to track their time as required by the DOT. Each driver must have a unique CDL number associated with them. One CDL number cannot be entered for multiple drivers. This is also where you will input the DOT rule the driver will operate under, which determines their available drive time, required breaks, and off duty time. Terminals – We have already added the first Terminal for you (your shipping address) but if this address is not correct or you need to add additional terminals you can add and/or edit in the Terminals section. In the Equipment, Users, and Drivers section under ELD, you will click on the corresponding icons to “copy” over for ELD. Click the first icon to add just one or the second to add multiples at once. Trailers – Trailers can be added in the Equipment section under ELD. Click on the vehicle icon to add a trailer and fill in the details. Make sure under the “Type” dropdown box to select Trailer and click Save Equipment at the bottom. User Roles – User Roles are permissions within the ELD Admin portal. To learn what permissions each role includes, click on the User Roles section under ELD in the Settings tab and Edit next to each one to see the details. Carrier Information – This is entered in the ELD section under Settings. 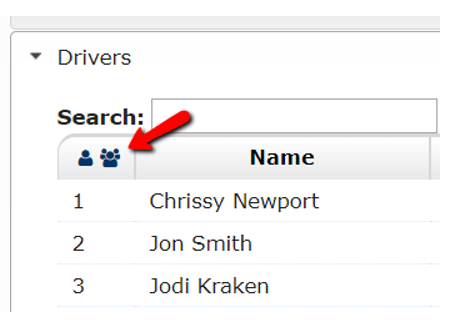 Click on Accounts/Motor Carriers, click Edit to the right of the screen, then enter your Carrier Name and DOT number. For clients that utilize multiple DOT numbers, you will be able to enter all of them. The Drivers will have to toggle between those numbers from their ELD Driver App.